Stella Polare is an essay film occupying the ground between narrative, documentary and experimental film-making. It is a work of fragmented histories: of the catastrophes of empire, war, terror and resistance of our times. Its unseen narrator ‘encounters’ the inhabitants of an undisclosed port city in old Europe as they stroll along a jetty in the melancholy fading light of evening. These meetings are with terrorists, philosophers, writers, photographers, shopkeepers whose subjective accounts and conjecture create a rupture within twentieth century history and beyond. Such sequences provide a central structure around which threads of image, sound and voice over are interwoven to create an ambiguous and speculative narrative. Elsewhere, the camera explores a city where the people are largely absent. The dusty faded traces of a glorious imperial past – the interiors of opulently furnished nineteenth century apartments and museum vitrines of stuffed birds – encounter the present tense materiality of the video image. Stella Polare is a work of contemporary relevance which, through its particular engagement with history, reflects on time, memory and violent political action. 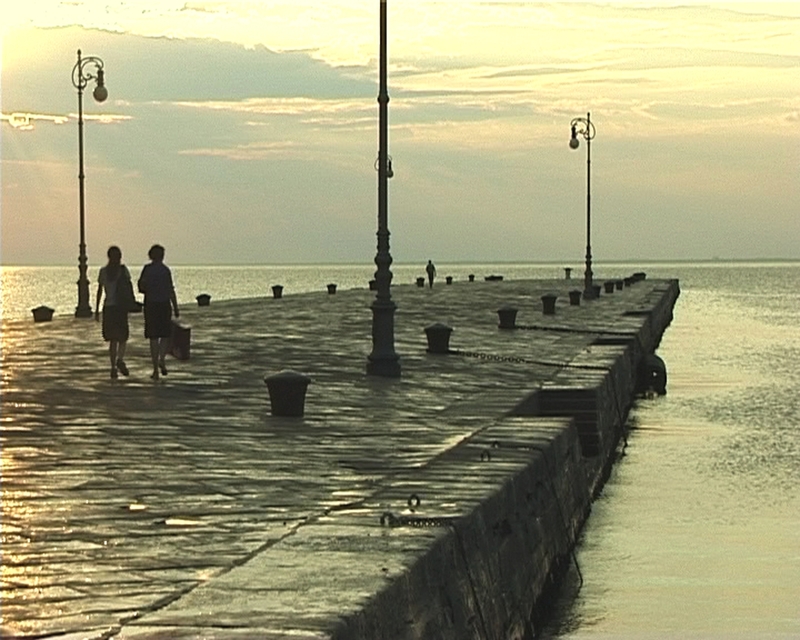 It was shot in the Italian border city of Trieste. View here at IFFR Unleashed.